Matt McKibben, right, and Chad Murphy, co-owners of Deep Roots Tree Care, cut down a tree between Silverton Avenue and the Durango & Silverton Narrow Gauge Railroad tracks as construction of the Animas River Trail north extension begins in north Durango. Construction crews are trimming trees along Silverton Avenue in preparation for an extension of the Animas River Trail from Memorial Park north to Oxbow Park and Preserve. But residents say they’ve been kept out of the loop, leaving them wondering what will change next. “You wake up in the morning and you just don’t know what the hell’s going on,” said Tim Wolf, a resident on Silverton Avenue. Wolf filed a complaint against the city of Durango with Great Outdoors Colorado, which granted the city $1.4 million to help construct the trail. GOCO, an organization that redirects lottery money for parks and open space, decided not to take action on Wolf’s complaint after receiving a letter from City Attorney Dirk Nelson. Peter Schertz, although he doesn’t live on property abutting the project, said he hears from his neighbors about how they wake up every day to a surprise. Parks and Recreation Director Cathy Metz said the city has been communicating with residents. They have face-to-face meetings, send emails and make phone calls, she said. The city has three employees staffing the project because it’s “important to address questions,” she said. Both Schertz and Wolf, and at least half a dozen other community members, met with city councilors Melissa Youssef and Dean Brookie earlier this week to discuss concerns with the project. Metz said she was not aware of the meeting. 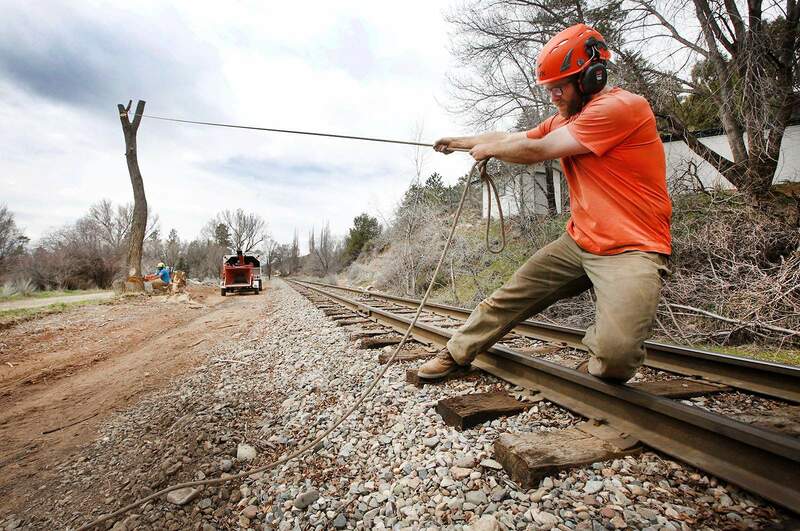 Trees along the Durango & Silverton Narrow Gauge Railroad tracks have been cut down as construction of the Animas River Trail north extension begins in north Durango. Youssef, soon to be mayor, said community members were concerned about noise, wildlife passage, trespassing, lighting and neighborhood connectivity. Each issue was discussed during the meeting between the councilors and residents. And while each of those issues has merit and should be addressed, Youssef said the lack of communication is one that needs to be addressed sooner rather than later. Youssef said she had not had time to speak with city staff since the meeting – she was traveling when reached by phone Wednesday – but plans to follow up with parks and recreation employees about the concerns she heard from residents. “There are some other issues we need to discuss in more detail, but I think that communication is always going to help in a situation like this to make things more clear, to be transparent, to be up front and let people plan and understand what’s coming down the road,” Youssef said. Metz said the Parks and Recreation Department is in the process of establishing a weekly update for anyone who is interested in the Animas River Trail north extension project. The update will be posted on the city’s website. 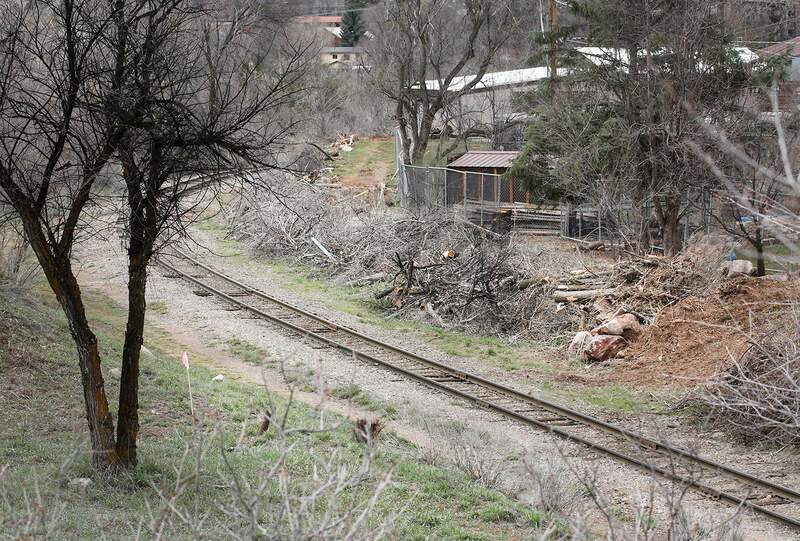 As of now, city contractors have been removing trees and shrubs to prepare for the trail. A total of 60 trees will be removed and will be replaced by 140 trees, Metz said. Next week, residents can expect crews to begin digging near the railroad tracks behind Bennett Street, where contractors will begin work on a retaining wall that will accompany the corridor. Youssef said she would love to see the Animas River Trail be a project that benefits the entire community, and it’s important to make compromises to make the project a success for everyone. To do that, Youssef said she would like to engage the entire City Council in reviewing the city’s contract and budget to ensure the project is moving forward appropriately.